Doobie Brothers in Montreal or Quebec City? Inform me about the next events for Doobie Brothers. 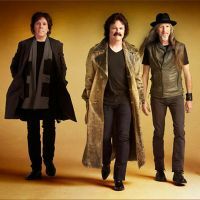 Enroll yourself to our priority waiting list for Doobie Brothers to be alerted when new tickets are available. Filling this form doesn't engage you to any purchase. The Doobie Brothers will be performing at the Bell Centre, in Montreal, on October 8, 2016. In the 1970's, the Doobie Brothers became one of the most popular pop rock acts out there, with such hits as Listen to the Music, Jesus Is Just Alright, Long Train Runnin', Black Water and What a Fool Believes. It's been over 6 years since the Doobie Brothers played in Montreal. Don't miss their return to the Bell Centre.